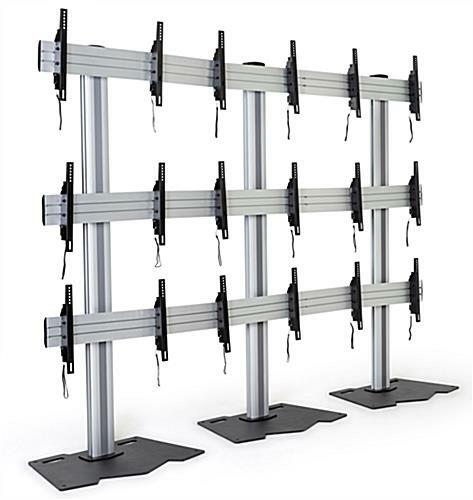 This 3x3 video wall mount stand allows (9) 45” - 55” universal screens to come together and produce real time security or IT monitoring. 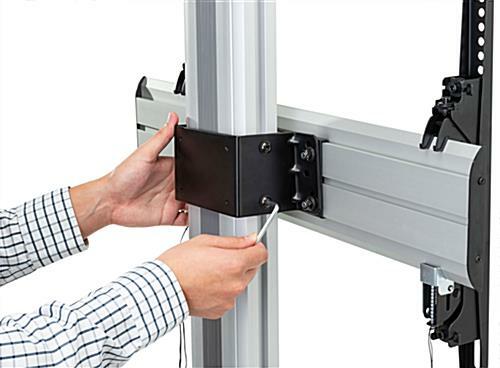 All assembly hardware tools come included along with clear instructions and mounting system configurations. 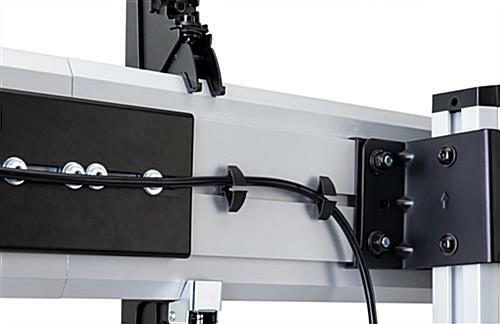 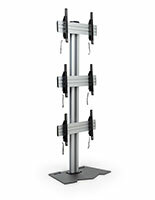 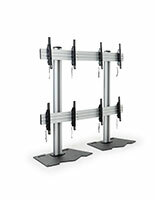 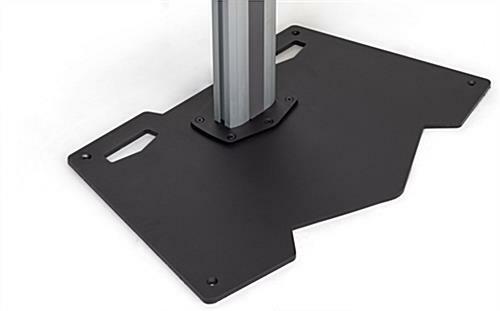 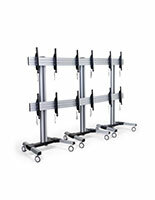 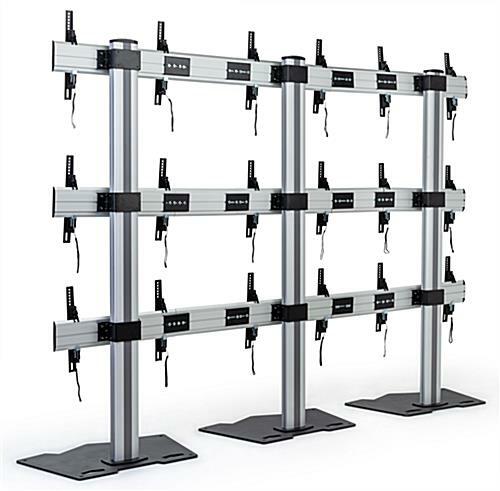 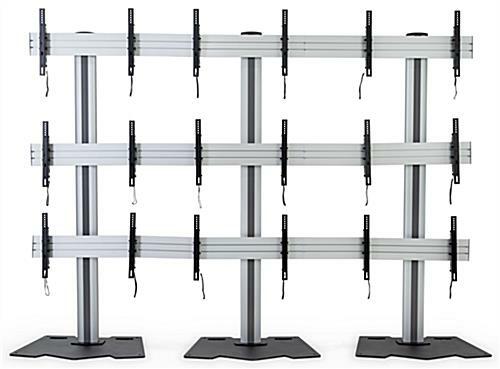 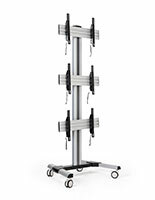 Designed with a reinforced steel and black finish with cable management clips, the video wall mount stand will modernize your floor space or lobby. 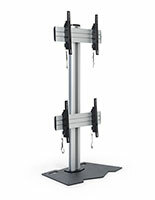 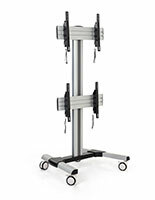 The mounting system safely hangs up to 110 lbs. 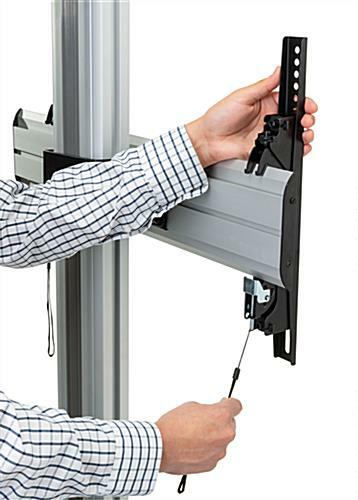 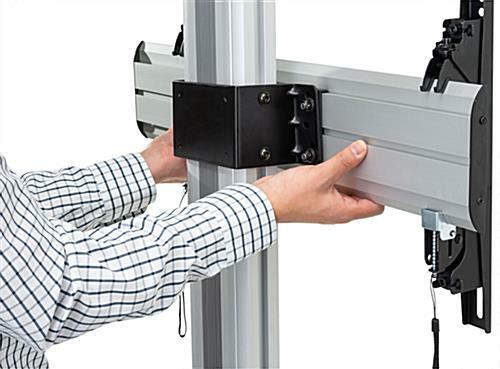 universal screen weight per anti-theft bracket and automatic click-in spring locks provide added safety. 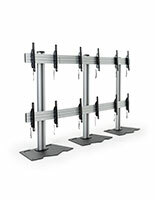 This TV wall provides an incredible viewing experience by combining high-quality configurations, carefully designed assembly instructions, and an elegant presentation. 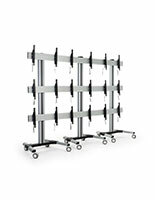 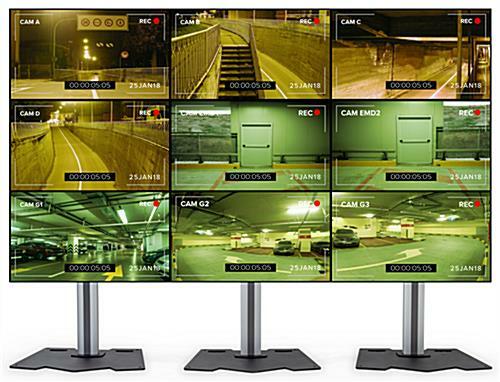 Our 3x3 video wall stand will create the most eye-opening and head turning digital monitoring display wall.